It snowed, a lot. Most schools in our area were closed for a week including mine. I saw John Mayer in concert for the second time. I lost my blogging mojo, but also revealed a deep, dark secret. The month started off quietly enough until my daughters were traumatised, so the least said about this month the better. 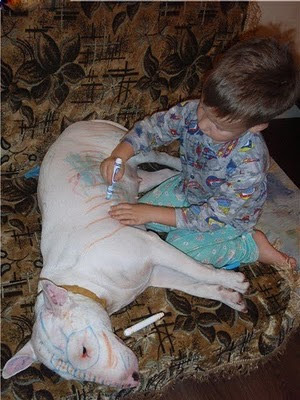 This was the month I warned about the perils of leaving small children alone with pitbulls. I also asked if children can be born evil, which was one of my most visited blog posts of this year. I asked how old children had to be to be left home alone, I started a new blog devoted to my greyhound Tessie. At the end of April my Dad finally lost his battle with cancer. In the weeks after my Dad's death I realised how important blogging was to me; the wheels fell off my blog when I bought the domain name and I finally got a new bathroom installed! Yay! This was the most amazing month! 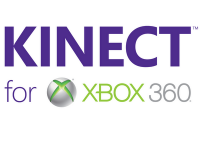 As part of our roles as Xbox Ambassadors we were invited to Los Angeles for the premiere of the Xbox Kinect and we had the most fantastic 5 days there. It wasn't just the fact we stayed in a fantastic hotel, attended the incredible premiere and were treated like VIPs for the whole trip, but the unexpected bonus was that we met the most incredible people and have made new, life-long friendships. An amazing experience! After our fantastic trip to LA I had to face the reality of the photographs that started appearing on Facebook and accept that I was fatter than even I had realised. I had to do something about it and launched The Big Momma Challenge. By the end of November I'd lost 21lbs and become a lot fitter, and I'll be doing it again from January. We went to Wales for our annual holiday for the 6th year running, back to the same farm cottage we always go to. And it was just perfect. 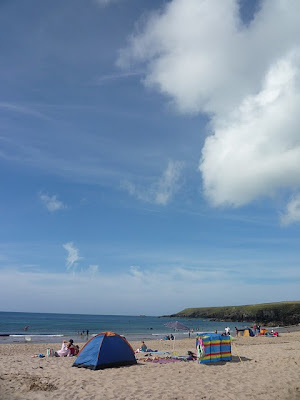 I hit a bit of a low point and talked about the downside of being a single parent, The Teenager asked some interesting questions and I was pleased to host the first guest post on my blog. 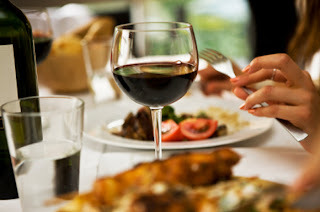 This month I wrote my most controversial post to date which turned out to the one of the most read posts of the year; I made plans for my 50th birthday celebrations and I tried online dating again for the last time. I felt compelled to give instructions on how to replace the toilet roll; I decided that I was completely rubbish at relationships; I took part in the first of my Silent Sunday posts and we went to Milan to visit friends and celebrate my birthday. 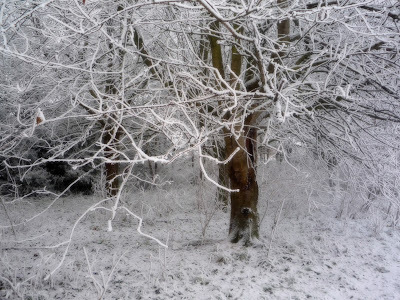 It snowed, again, but this time I tried to see the positive side; I revealed my best and worst Christmas presents ever, and I made some resolutions for 2011. I know it's corny and most people either don't make resolutions or just don't stick to them, but I'm going to make mine public so that I am held to account by my bloggy friends. So, you heard it here first - these are my resolutions for the new year. You have no idea how much decluttering needs to be done in this house. Really, every room needs a thorough going over to clear it of the things I don't need/don't want/never use/hang onto for a car-boot sale I'll never do. This year they are going. All of the paperwork, books, clothes, bits and pieces that clutter up my life and mind are getting sorted out for good. 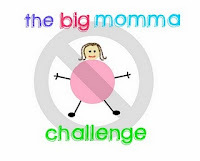 After taking a break for Christmas, I'm going to restart the Big Momma Challenge (which may get a name change - any suggestions?) and continue on with my attempts to lose weight and become fitter and healthier. This year I lost 21lbs doing it, but next year I'm going to crank it up a gear and really get on top of it. And I'll be looking for companions to join me along the way - it's so much easier doing it with friends! Yeah, you read that correctly - I'm going to do Other Things, like read all of those new, unopened books on the bookshelves; sort out my lovely but overgrown garden; go to the cinema more often (a neglected pleasure); visit friends more often, and invite them here too; do more real-life things with my daughters before they grow up. I will also be doing some studying this year so this will mean managing my time more efficiently. This is a biggie for me, I'm rubbish at time management. Okay, this is the one that is going to be the biggest challenge for me. I hardly ever go out - really, I am the queen of excuses when it comes to turning down invitations. But it's very hard to find that confidence to do things when I'm so used to staying at home with my girls - but they're growing up fast and I can't hide at home forever can I? Can I? So, I'm resolving to accept more invitations to do things and go out more often. Gulp. 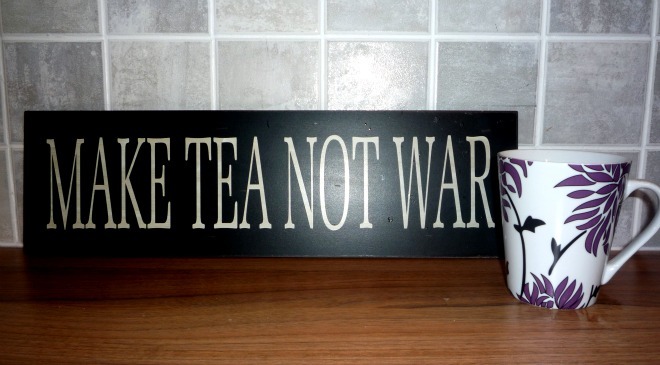 So there you have it - my 2011 resolutions. I'm resisting the urge to delete the last one, because it's the one that scares me the most. When I was growing up we used to have a lot of our food delivered right to our door. No, not with a fancy supermarket delivery - we didn't even have supermarkets then, there were grocers, butchers, fishmongers, etc. but by door to door delivery vans. Our milk was delivered fresh to the doorstep in environmentally friendly glass bottles, with cream at the top and different coloured foil seals to distinguish the type of milk. Our bread was delivered by...guess who?...the bread man. Our bread man was a bit of a character, his nickname was Fingers - although I don't want to think about why - he had long sideburns and looked a bit like Mungo Jerry. My brother used to help out on the bread van and occasionally we would get some unwanted squashed loaves that had gone unsold. Then there would be a weekly visit from the fishmonger - always on a Friday, when good Catholics didn't eat meat, and I remember the veg man would deliver a 56lb bag of spuds to the backdoor so that Mum didn't have to try and carry it through the house. 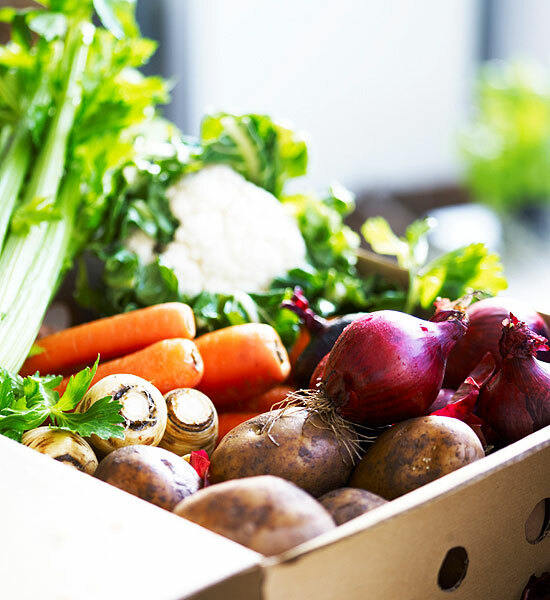 It's funny how all those years ago home deliveries were standard, and now it's gone full circle and people want their groceries delivered straight to their door again. I'm all for convenience, so when I was asked if I'd like to try the Milk & More service I was more than happy to give it a go. Now I don't know about you but I haven't used the milkman for a long time, probably years. After all it's so easy to buy your milk in those huge plastic containers and keep enough in the fridge, until realised you've run out and it's 7am and you need a cup of tea. I had a look at the website and was surprised at the range of products (pet food, toilet rolls and dishwasher tablets amongst many other products) and while that's all good, I think the beauty of this service is that you can place an order up until 9pm the night before for the things you know you'll need the next day. I placed my order last night for milk, fresh orange juice, apple juice, eggs, yoghurt and bread. I got up this morning at 8am conscious that the milk man might knock, although I wasn't even sure if he would even deliver it, but he'd already left my delivery in the porch! I smiled when I saw it, I really did. There's something very satisfying about using this service, I don't know what it is - a nostalgic reassurance perhaps - but here's the clincher: there's no delivery charge! Yeah, try and ask Tesco to deliver a bottle of milk and half a dozen eggs for no charge, and see what they say! So would I recommend Milk&More? Well, put it this way I'll be ordering with them again. And again. And again. ﻿I did this last year and thought it would be fun to do it again. These are images to inspire and motivate me in 2011. 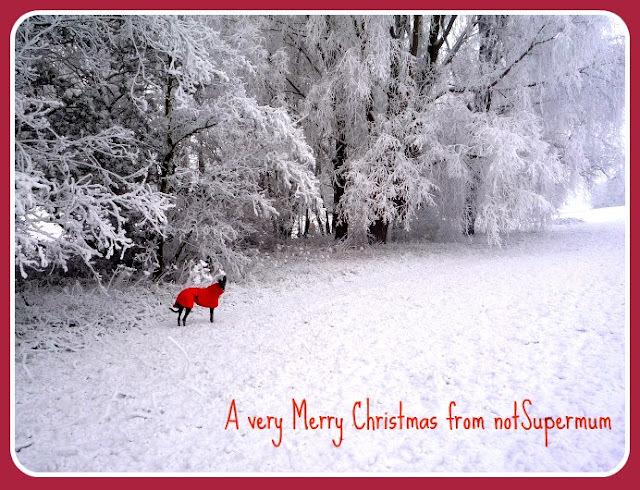 Wishing you all a very Merry Christmas and best wishes for a happy, healthy and successful 2011! 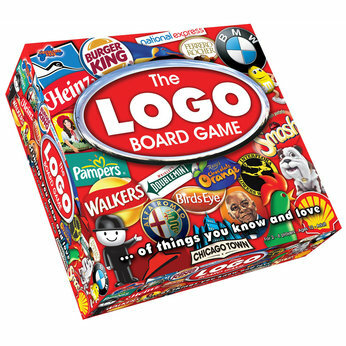 Are you the type of family that likes to play games after the Christmas blow out dinner? 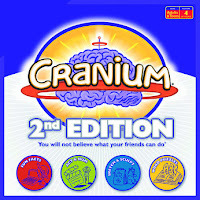 If you are, then these games were sent to us by ToysRus to test drive so that you don't have to. No, really, it wasn't any trouble. 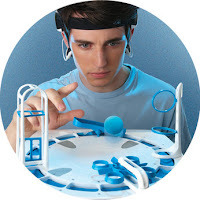 "A lightweight headset containing sensors for the forehead and earlobes measures your brainwave activity. When you focus your concentration, a small foam ball will rise on a gentle stream of air. Relax your thoughts and the ball will descend. By using a combination of physical and mental coordination, you must then guide the ball through a customisable obstacle course - the various obstacles can be repositioned into many different configurations. Mindflex combines advanced technology with the power of thought to create an interactive experience unlike any other- a game where players compete in the ultimate mental marathon!" When we first tried this out it felt a bit weird, the Teenager thought it was 'freaky' and after one attempt refused to try it again. I think it's fascinating and although the headset can get a little uncomfortable after 10 minutes or so I've enjoyed using it, but Tall Daughter is not only addicted to it but is really good at it too. She has managed to get the ball to go through some of the so-called easier obstacles (I haven't managed it yet) and has moved onto some of the more tricky ones. You can still shop at ToysRus until 8pm on Christmas Eve. Follow their Facebook page for news, fun competitions and giveaways. My best and worst Christmas presents EVER! A few months ago when we were clearing my parents' house it was - to put it mildly - a difficult time, but amidst all the sadness, I came across something that made me smile. And not just a little smile either but a huge beaming one. The last room to be emptied was my brother's bedroom where there was a big walk-in cupboard that had always been used to store stuff. We probably left it till last because we dreaded having to get all of that stuff out most of which hadn't seen the light of day in donkey's years. My brother went in and began bringing boxes and bags of memories out of the cupboard. and laying them out onto the empty bedroom floor for us to sort through and that's went I spotted them. Lying amongst old books, boxes of Christmas decorations and assorted pairs of mis-matched shoes was a pair of roller skates. 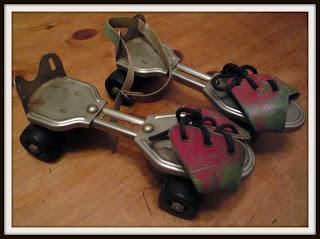 Not just any roller skates, but the first ones I had ever owned. These were my Christmas present was I was 7 and I loved them! I would wear them every day, or at least it seemed like that, mostly after school when I would put them on and race outside to skate up and down the smooth tarmacked pavements. We lived on a long road with a slight incline, so if I skated up the pavement for a while and then grabbed a lamp-post I could swing myself round and start rolling down the pavement again. I don't think I ever tired of doing it, and, if I tied a tablecloth around my shoulders I was suddenly transformed into Supergirl skating to the rescue of someone in peril. So many happy memories are wrapped up in those skates and I couldn't wait to show them to my girls, who were slightly bemused by my enthusing about them. They were my best ever present and in fact have never been surpassed. So, all those years later, when I saw the skates in the middle of that bedroom it was as nothing short of magical, and was as though Mum and Dad were giving me that present all over again. I wish I could thank them for those happy memories. Go on admit it, you're jealous aren't you? This was a gift from a very dear family friend. She was my Mum's best friend and ﻿I have never figured out why she gave me this present. Yes, I was and still am a Catholic, but you couldn't exactly call me devout by any means. The fact that I've kept it all these years might surprise you too, but occasionally when I mentioned to people about the scarf they didn't believe me until I could show them the evidence. 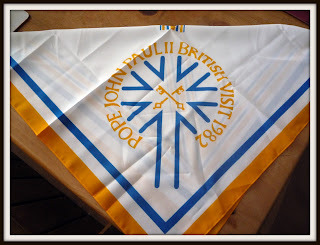 I went to visit the lovely lady who gave it to me the other day and was reminded once again of the scarf. I left her house with a Christmas gift from her which is now under the tree and I wonder if - after this year's Papal visit - I might get another one this year. I'll keep you posted. Thanks to Linda Jones for prompting me to write this after reading her blog post on Ready for Ten. If you are considering buying this as a Christmas present - do it. It's fantastic, and lives up to the hype. We were lucky enough to try this out earlier this year and couldn't wait to go our hands on it when it was put on general release last month, and we love it. From my point of view, as an old wrinkly, I could never get the hang of controllers on other games. With the Kinect of course 'you are the controller' as the ad says and so it's so much easier and more enjoyable to use. I'll write a longer review when we've tried out all of the games we have for it. Well worth buying in our opinion. I don't know about you but the skin on my hands is dry, chapped and sore, so I was very interested in this offer of free samples of Hands First, a hand protection cream which claims to act like 'invisible gloves'. 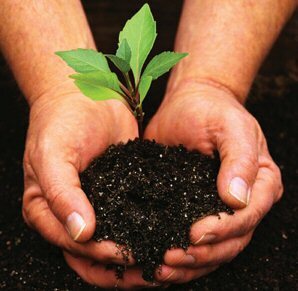 There are 50 sachet samples available - just send an email to periproducts@yahoo.co.uk to claim yours. Just tell them I sent you! Christmas is all about giving, and Just Giving have created a Facebook app which allows you to send Facebook gifts to friends and family whilst at the same time donating £2 to a selected charity. There are a range of charities and personalised gifts to be chosen from including a virtual gift for the charity, Whizz-kids, dedicated to providing disabled children with the facilities they need. And finally, a cautionary tale, on no account should you tell your child that you're going to have a shower and if the 'phone rings to take a message. Today, as I got out of said shower I overheard Tall Daughter saying "yeah, she's in the shower scrubbing her bum, can I take a message?" I'm considering grounding her for life. The Limited Edition Kelloggs hamper goes to Cah99 ~ Congratulations! 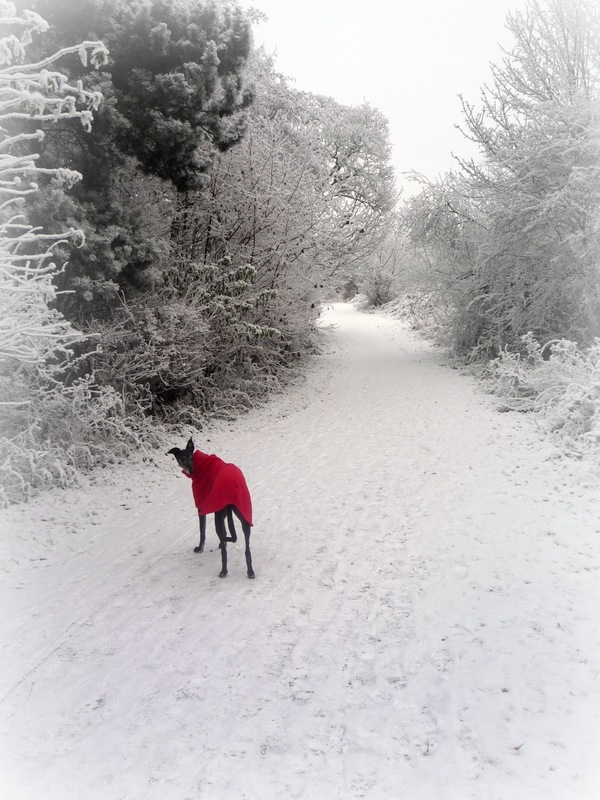 Snowy walks through country lanes. 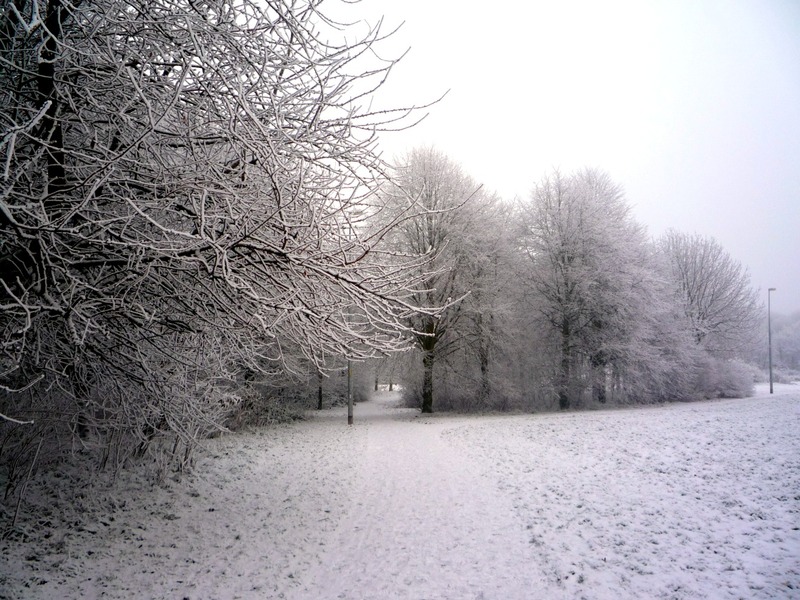 The sound of crunchy fresh snow underfoot. Watching the snow fall, especially at night. Walking Tessie and watching her having fun in the snow. 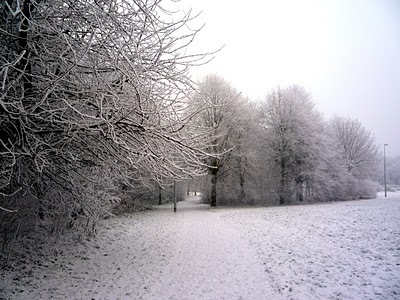 The sight of small, laughing children being pulled along on sledges by happy parents. Clumsy attempts at building snowmen. 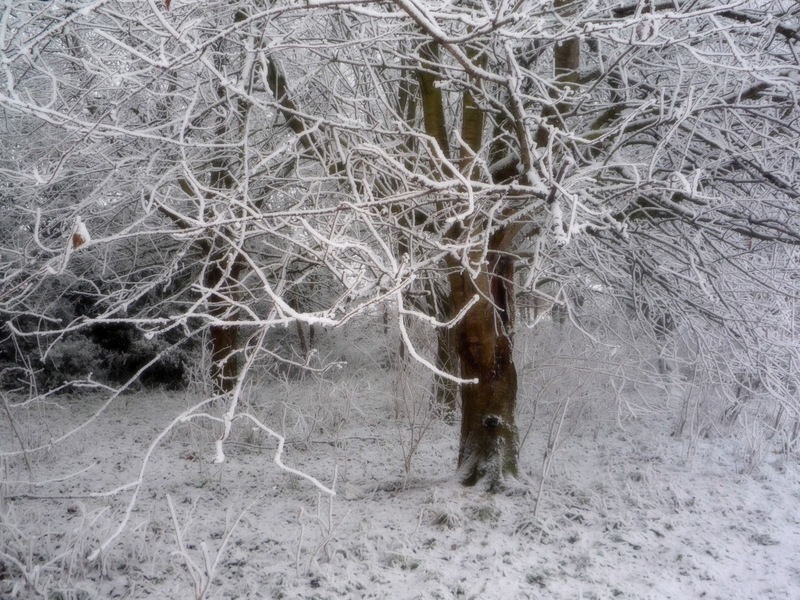 The transformative nature of snow - my garden looks best when it snows. The prospect of a white Christmas. What do you like best about the snow? Because it's Christmas and because I love all my fabulous bloggy friends, I have a little something for you. I know what you're thinking, I'm all heart. My new friends at Kellogg's have offered this fab hamper as a giveaway to one lucky reader. The wicker hamper contains a selection of Kellogg's cereals, plus four limited edition cereal bowls and a milk jug. There are also 4 runner-up prizes of a selection of Kellogg's cereals. Sadly I can't enter the competition myself, which is a shame because I'm known in our house as the cereal queen. If I don't have cereal for breakfast I start having withdrawal symptoms by 11am. To enter all you have to do is leave a comment below and state which is your favourite breakfast cereal. The winners will be drawn at random on Monday, and Kellogg's will do their best to get the prizes to you before Christmas. Good luck! This competition is open to UK entries only. The draw closes at midnight on Sunday 19th December 2010. The winners will be chosen randomly. CyberMummy is the UK’s premier blogging conference devoted to parent bloggers. After the success of this year’s conference, which I was unable to attend, I am keen to attend Cybermummy11. The event will be held at The Brewery, London on 25th June 2011. My attendance at the conference depends on whether I can find a sponsor, and with that in mind here are the details of what I need and what is available to a potential sponsor. • Travel costs: £70 approx. I think this is going to be the last Christmas where Tall Daughter still believes. Even though she is 11 she's still very young for her age and has a very sweet innocence about her, which in these cynical and streetwise times is really refreshing. I have no intention of telling her the truth, as some friends have suggested, because I think in her heart of hearts she knows...but she still wants to believe, and this might be her last chance to do it. The Teenager was also 11 when she asked me the question, and was crushed when I confirmed what she already knew. She came back to me a bit later that day, all teary-eyed, and asked "but the tooth fairy is real isn't she?" Well, as expected I have gained weight over the last week - but I'm not surprised at all. We went to Milan for the weekend last week and ate some fabulous meals, and this has been my birthday week which included a meal at a country pub, an Indian takeaway (courtesy of my brother who was staying with us), a fish and chip supper....and a surprise birthday lunch arranged by my lovely friends at work. And it's a miracle that after all that I only gained 2.5lbs! But I'm not going to make any excuses because I enjoyed every mouthful! 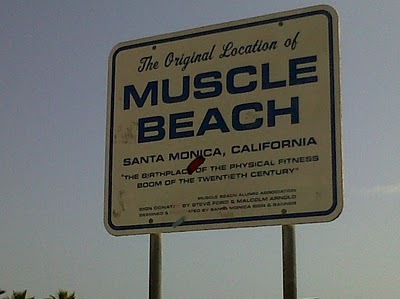 I'm going to try and get rid of that this week, and hopefully lose a few more pounds in the run-up to Christmas. How are you doing? 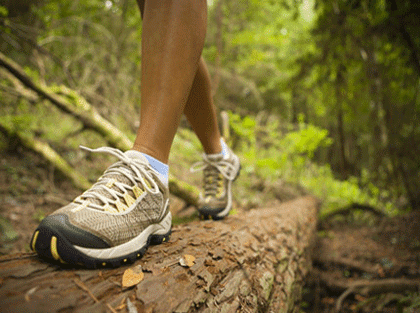 Have the mince pies already appeared on your radar or are you managing to keep away from the festive fare? It's going to be a difficult few weeks, but we can do it! 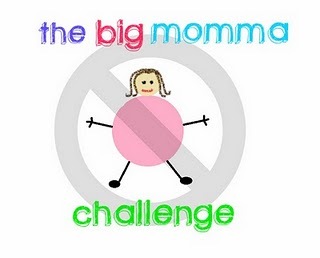 If you're following the Big Momma Challenge please add to the linky below or leave a comment with your progress. If you'd like to join in please just jump in! If you want to know what it's all about read this post about why I started doing it. I've had a couple of books waiting for review and this might be a good time to do it, especially if you are looking for Christmas present ideas. The first one is a beautifully illustrated book called Molly and the Night Monster. 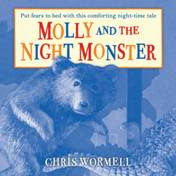 Written by the awarding winning author Chris Wormell and published by Random House, it tells the night time tale of little Molly who hears a noise on the stairs and imagines it to be all sorts of awful monsters...until she gets a surprise. A gorgeous picture book for little ones. Next up is something for the whole family, and the Teenager in particular liked this one. Fun and Games for the 21st Century Family is written by Simon Rose and Steve Caplin, and is full of ideas of how to use modern technology for family fun. We liked the mobile phone games, and the ideas for keeping kids occupied on long car journeys. Any book that has over 200 ideas on how to keep the family entertained on rainy days or family get-togethers has got to be worth a try, and I didn't see any ideas that involved spending money. There's also a very handy section on how to use different bits of technology, and a website to complement the book. And finally, I couldn't resist including this little teaser for the forthcoming iPad picture book, the Heart and the Bottle written by Oliver Jeffers and read by Helena Bonham Carter . My daughters have both used iPads recently and they'd love to have one (dream on...), and we have also started using iPads at school and this book is a fantastic new way of encouraging children to read, listen and become inspired by books. Lovely. Leave a comment and you might get something extra in your Christmas stocking! A few months ago when I was getting my new kitchen installed I looked around for a replacement for my old cooker. The best prices I could find was with Appliances Online, and so I ordered my new Neff oven and hob from them. I'd never ordered from them before so was unsure of what to expect service-wise, but they were excellent and I would definitely use them again. So when they recently sent the lovely Josie a new cooker I was really impressed, and left a comment to say as much. And just to prove what nice people they are at Appliances Online they contacted me soon after to say they would like to send me a little present for my birthday! And so I was really chuffed when a case of organic cider (my favourite tipple!) arrived this week - just in time for my birthday. How nice is that? Not only that, but Appliances Online are still feeling generous because they'd like to offer some more little surprises to a some of the people who leave a comment on here! Turning 50: Happy Birthday to Me! Our trip to Milan at the weekend was fantastic. We stayed with our good friends Marco (who blogs as the Funky Professor) and Paola and their two lovely daughters Rebecca and Blanca (who are roughly the same age as mine) and we had a really fun, relaxing time. Tall Daughter was taught how to make fresh pasta and pizza by Paola, who is a fabulous cook, and The Teenager went shopping with Rebecca in some of the fantastic Milanese shops. We went on a walking tour of the city, went to the top of the magnificent cathedral with views out to the mountains, visited two different art galleries, went out for ice-cream at 10.30pm (and the ice-cream shop was packed! ), visited the Armani shop where I was told to stop taking photographs - oops! - and met a very charming man in a restaurant who, it later emerged, was a real-life member of the Mafia. 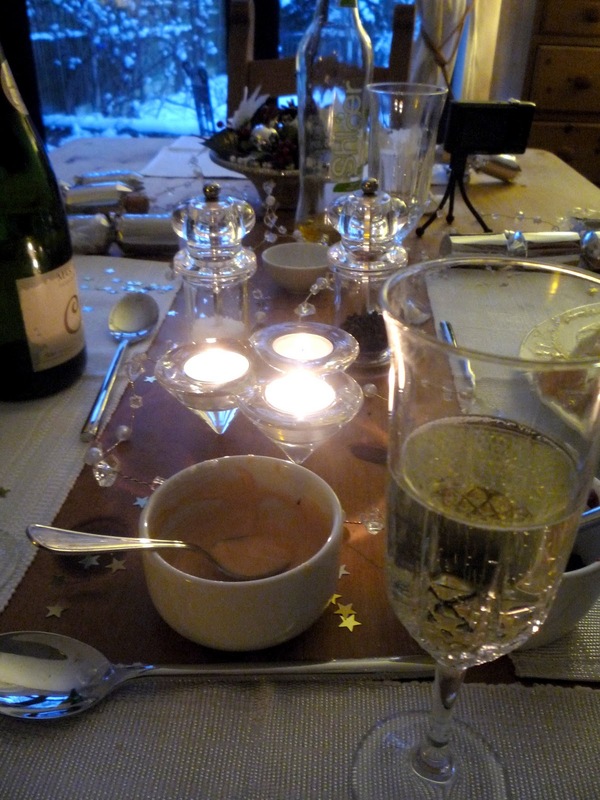 We had great fun, delicious food, and spent the time with some genuinely warm and wonderful people. And we all laughed. A lot. That's pretty much a perfect weekend in my book. I loved this sign warning tourists to be careful on the sloping roof.